After six months of work on the books, Conti has achieved zero lost time incidents so far this year. In addition, the firm has been posting OSHA Experience Modification Rate, Days Away, Restricted or Transferred Rate and Recordable Incident Rate numbers consistently under industry average and continuing to trend down. Conti’s most recent EMR, DART Rate and Recordable Incident Rate were reported at 0.65, 1.46 and 2.55, respectively. 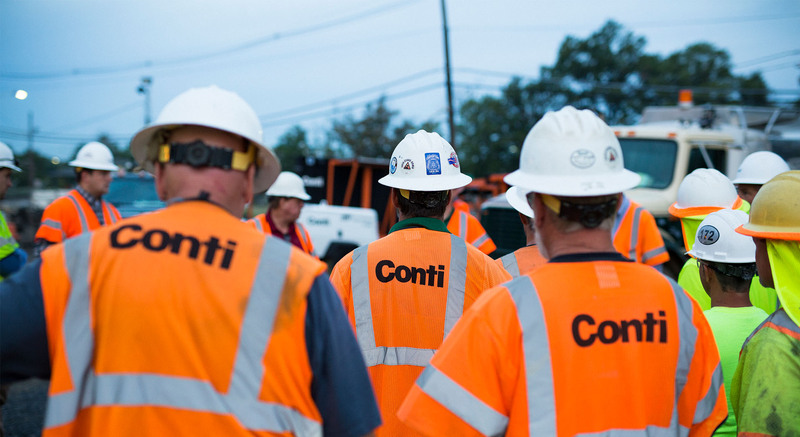 This shows continuous improvement from 2015’s mid-year numbers, with Conti personnel having logged nearly 50% more work hours this year than last year while working in conditions as diverse as the intense heat of Louisiana and Israel to the freezing temperatures of the Northeastern United States.